23rd February. 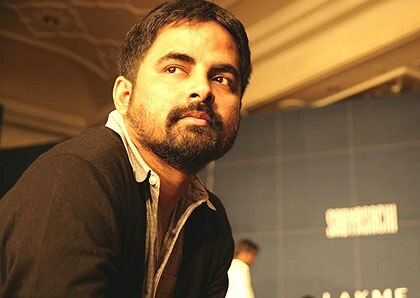 Happy Birthday Sabyasachi ! 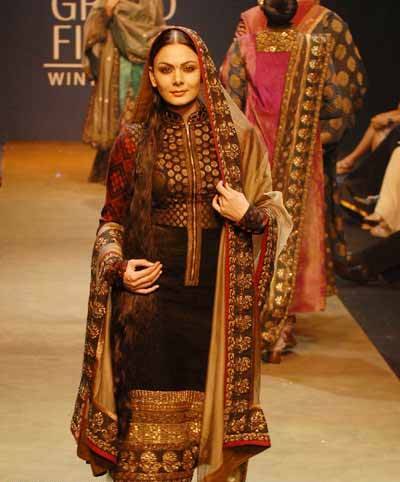 Sabyasachi Mukerjee...A name synonymous with gorgeous clothings with an Ethnic Indian Touch to it. Single handedly responsible for reviving Indian traditional textiles, his forte lies in the unique and innovative blending of colors, textures and patterns. 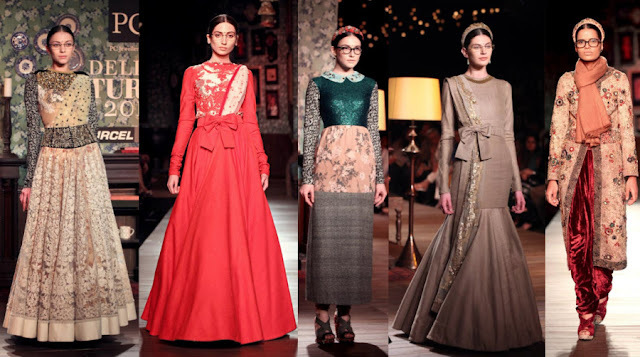 Sabyasachi's design philosophy is very simple and clear "Personalized imperfection of the human hand." 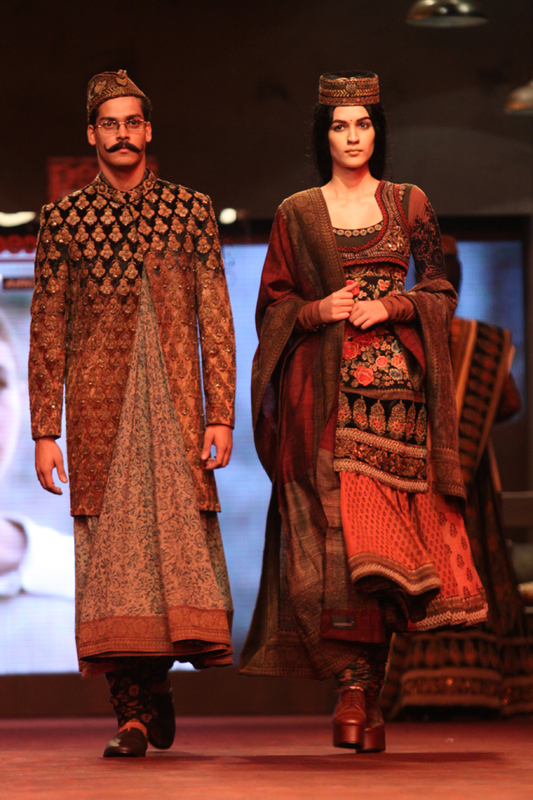 He describes his own collections as "an International styling with an Indian soul." 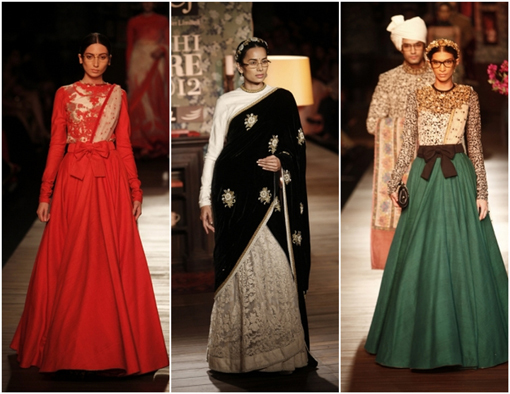 Some of my fav picks from the House of Sabyasachi. He has such a grandiose and luxurious style! Love the intricate work in his pieces! Hope you are having a wonderful day! You are so right..each n every piece that he creates has soo much drama to it..i love his work. N as far as having a wonderful day is concerned..rest asuured...u made my day..by commenting on this post. I m such a huge fan of Urs. Great designs featured here, my personal fav is the saree Ash is wearing at the premier of Raavan. I just discovered your blog and I'm enjoying reading posts from a fellow blogger living in my fav city! Good choice Kalyani. That saree is gorgeous. M happy u r enjoying reading the posts. 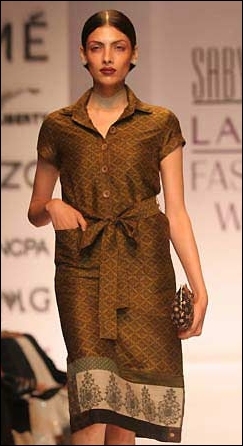 I do love Sabyasachi's designs, however they're just not the right on my frame. It just drowns me over on my petite frame and just doesnt feel right on me. I have been to their store a 1000 times to atleast get one outfit, but always came out empty handed. Thats too sad..may be u shud just go for a sabyasachi saree, n custom make the blouse. Saree goes well with all body types, n since u know your body much better, u can choose the blouse of ur choice. So true..i wish to own one of his designs too..! Hope ur dream comes true. His designs are stunning! Great post showcasing his fabulous creations! He is simply out of this world !! Sabysachi clothes have a great art work on his design. All designs look in royal clothes. 28th February. Happy Birthday to Me...! 23rd February. Happy Birthday Mummy..! My First Blog Award! The LIEBSTER AWARD! 11th February. Happy Birthday Jen! 8th February. Happy Birthday Jagjit Ji! 2nd February. Happy Birthday Shakira!